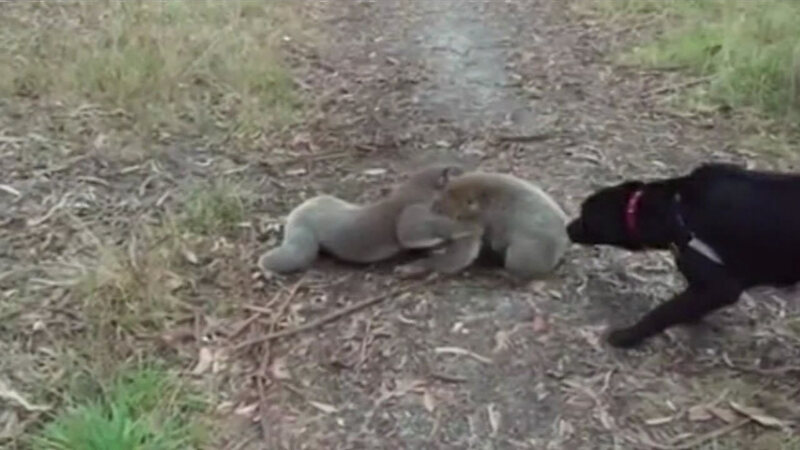 Two koalas were caught on video locked in a wrestling match in Victoria, Australia. Ashton Webster was on his daily walk with his dogs when he came across a barred contest. The koalas lunged at each other hoping to knock down their opponent. Male koalas are known for their aggression, but catching them like this is rare.